• EASTER WEEKEND UPCHARGE:+$20.00 per night for all RV sites / +$10 for Tent site (Friday, Saturday, & Sunday). • MEMORIAL DAY WEEKEND UPCHARGE:+$40.00 for all RV Ocean View sites / +$20 MTN View / +$10.00 per night for Tent Sites. • 4TH OF JULY WEEKEND UPCHARGE: +$90.00 per night for all RV Ocean View sites / +$35.00 per night for all RV Mountain View sites / +$10.00 per night for all Tent sites (Thursday, Friday, & Saturday). 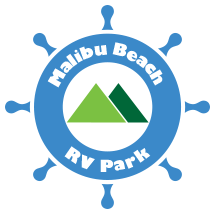 • LABOR DAY WEEKEND UPCHARGE: +$40.00 per night for all RV Ocean View sites/ $10.00 per night for all Mountain View and Tent sites (Saturday, Sunday, & Monday). • THANKSGIVING WEEKEND UPCHARGE: $20.00 per night for all RV sites / +$10 for Tent site (Thursday, Friday, & Saturday). • CHRISTMAS DAY UPCHARGE: +$20.00 per night for all RV sites / +$10 for Tent site. • NEW YEAR’S EVE & NEW YEAR’S DAY UPCHARGE: +$40.00 per night for all RV sites / +$10 for Tent site.